With a foreword by Sir David Attenborough, this is the striking photographic companion to the groundbreaking NETFLIX original documentary series, presenting never-before-seen visuals of nature's most intriguing animals in action and the environmental change that has to be seen to be believed. With six hundred members of crew filming in fifty countries over four years, the directors that brought us the original Planet Earth and Blue Planet now take readers on a journey across all the globe's different biological realms to present stunning visuals of nature's most intriguing animals in action, and environmental change on a scale that must be seen to be believed. Featuring some of the world's rarest creatures and previously unseen parts of the Earth―from deep oceans to remote forests to ice caps―Our Planet takes nature-lovers deep into the science of our natural world. 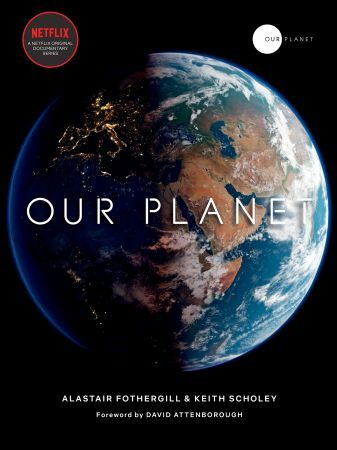 Revealing the most amazing sights on Earth in unprecedented ways, alongside stories of the ways humans are affecting the world's ecosystems―from the wildebeest migrations in Africa to the penguin colonies of Antarctica―this book places itself at the forefront of a global conversation as we work together to protect and preserve our planet. With a keepsake package featuring debossing and foil stamping, this groundbreaking coffee-table book reveals the most amazing sights on Earth in unprecedented ways.